Why replace your windows? If you’ve had your windows for a long time, you may wonder why you would need to replace them. After all, aren’t you saving money by not buying brand new windows? In fact, if your windows are the slightest bit drafty or leaky, the complete opposite is true. Not only will you save money in the long term by upgrading your windows, but you will also experience better comfort and curb appeal when you get your windows replaced. When you get energy efficient replacement windows, the new glazing technologies will keep out hot solar rays, while letting in natural light. Double glazed windows have a space in between the panes that is sealed, and filled either with air or a special gas (typically Argon or Krypton). This pocket between the glass sheets provides much better insulation for your home than single panes ever could. Argon gas is the typical option for many windows, and although it’s slightly pricier than plain air, although it will perform much better. Low-E is an invisible coating that is applied directly to the glass surface of your windows. Low-E improves the efficiency of your windows by reflecting the hot rays from the sun, while still allowing the light in. In colder areas like Toronto, the Low-E coating is applied to the inside of the glass, to keep the heat in. The numbers on your window labels should have ratings from either/or Energy Star and your National Fenestration Rating Council. These ratings will help you choose the windows that are best for your climate and home. The first of the ratings is called the U-factor, or U-value. This number generally ranges from 0.20-1.20. The lower the number, the better your window will be at keeping the heat in. The next rating you should be aware of is called the Solar Heat Gain Coefficient (known as the SHGC for short). This rating is between 0-1, and the lower it is, the better the wind is at blocking unwanted solar rays. Visible Transmittance, (or VT) shows how much visible light your window lets in. This number is between 0-1 and the higher the number, the more light is allowed in through your window. 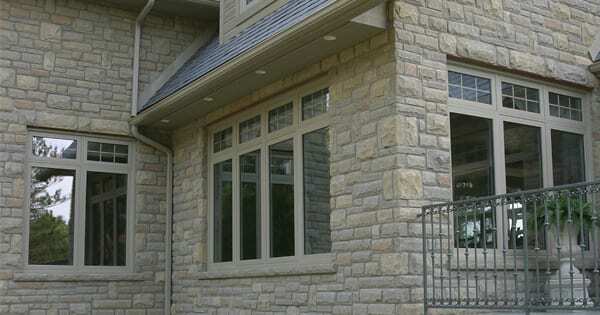 Brock Doors and Windows has superior brands of energy efficient windows. Our windows come with multiple glazings and Low-E coatings which will reflect the heat while still letting in the light. Our windows come with high quality edge spacers, and frames that are specifically built to prevent leaks. You will see a major difference in curb appeal and comfort as well as performance when you replace your old windows with new units from Brock Doors and Windows. For over 26 years we have served the Toronto community, and we hope you will be next! Give us a call today for a free consultation.